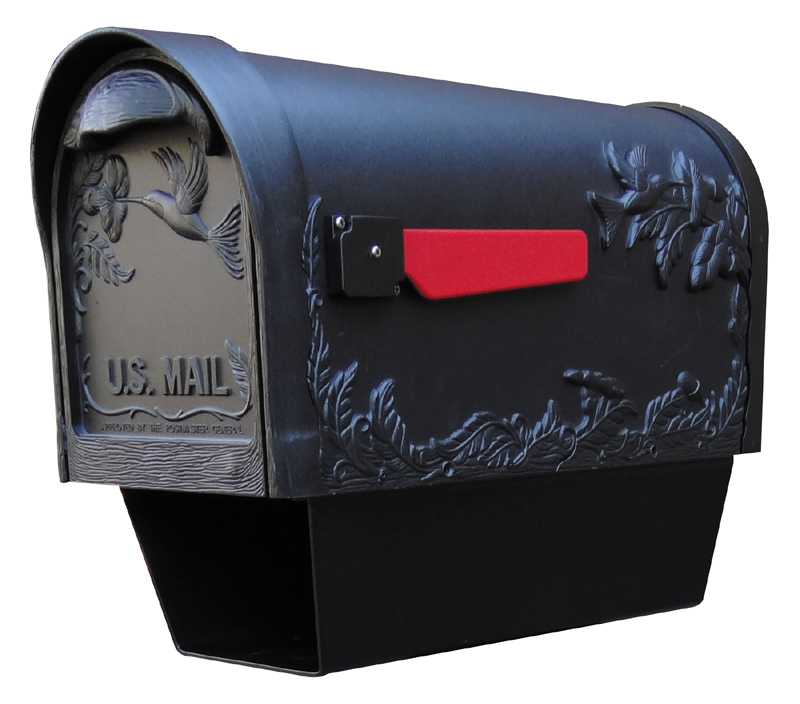 The Hummingbird Cast Aluminum Mailbox with Newspaper Tube presents an impressive face. The one piece cast aluminum door features deeply cut details with a rich leather grain textured panel. 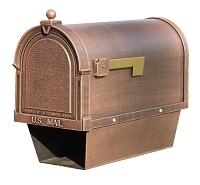 The stainless steel spring hinge and magnetic catch keeps the door secure and, combined with the rust proof cast aluminum body, creates a weather resistant mailbox.